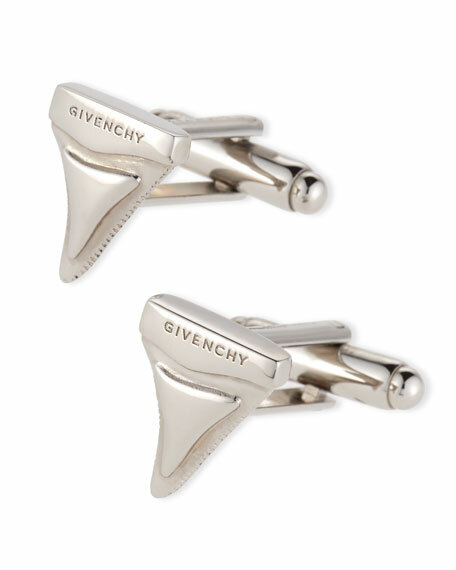 Givenchy silvertone brass cuff links. Shark tooth fronts with engraved logo. For in-store inquiries, use sku #1654705.